Had to take another driving trip to Canberra – Australia’s national capitol – and so I called into the country town of Goulburn, which is along the way. There’s a big old second-hand book and record store there called the Argyle Book Emporium. I wrote about this shop once before when I discovered three copies of “Q” magazine there which were of interest. When I got to the Argyle Emporium I headed straight to the room the owner uses to store his records, music books, and music magazines. As I said in the previous post, searching here is pretty frustrating as everything is just a free-for-all, with masses of unsorted discs on shelves and in boxes all over the place. There is so much that it is difficult to know where to start, and it’s one of those places where you get the distinct impression that the whole collection has already been picked over very thoroughly by collectors….Not surprisingly after pretty solid search I didn’t find anything of much interest amongst the records, and so I turned my attention to some boxes of magazines in one corner. There I found three items – two “Q” magazines from way back in 1993, and an “Uncut” magazine from a relatively recent 2010. 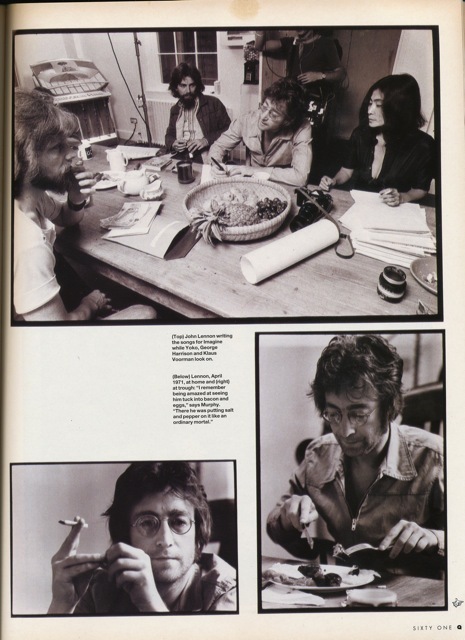 Kieron Murphy captured some great images for “Sounds”, the magazine he was working for at the time. 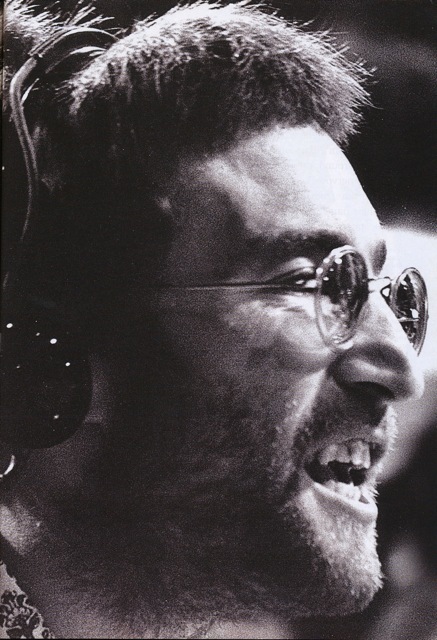 If anyone has seen the documentary “Gimme Some Truth – The Making of John Lennon’s Imagine Album” (released in 2000) then these black-and-white photographs will look familiar. Like that film, Murphy has captured a unique point in musical history – being played out amongst scenes of very ordinary domesticity. There are only six photographs in the magazine but they are special. 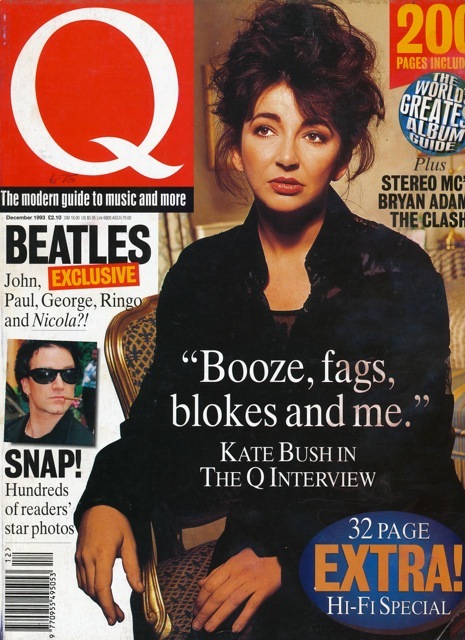 Kate Bush adorns the cover but what caught my eye was the heading: BEATLES EXCLUSIVE – John, Paul, George, Ringo and Nicola?! 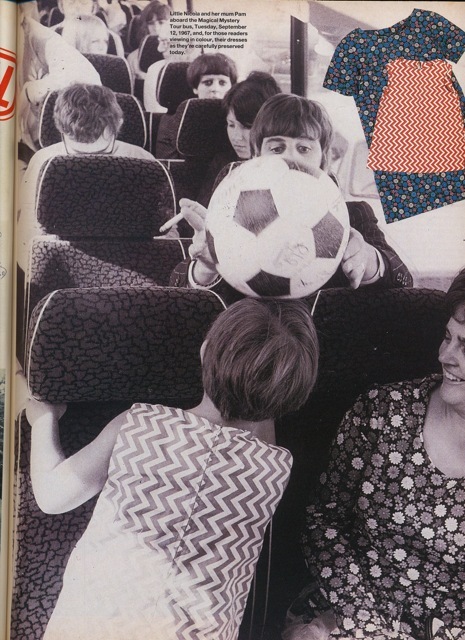 That’s her mum Pam on the right, and the carefully preserved dresses they wear in the scene are shown in colour in an insert at top right. 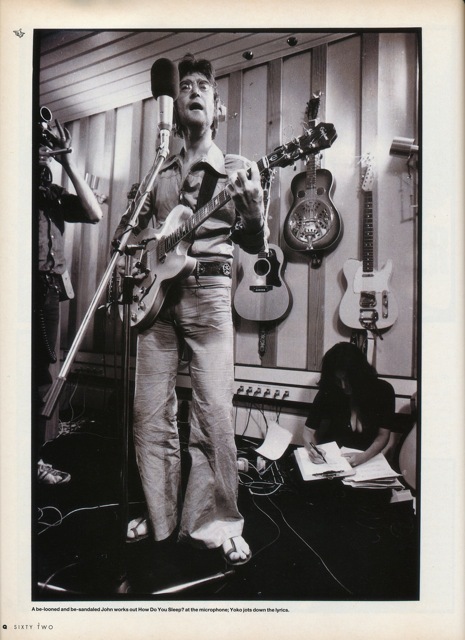 All the pictures, newspaper clippings and memorabilia shown in the article come from the collection of Nicola’s father, Dave Hale. Its a great little article and well worth having. I wonder where Little Nicola Hale is today? She would be 48 years old. Does anyone have any information? Please let us know. It’s all about the Beatles time in Hamburg. 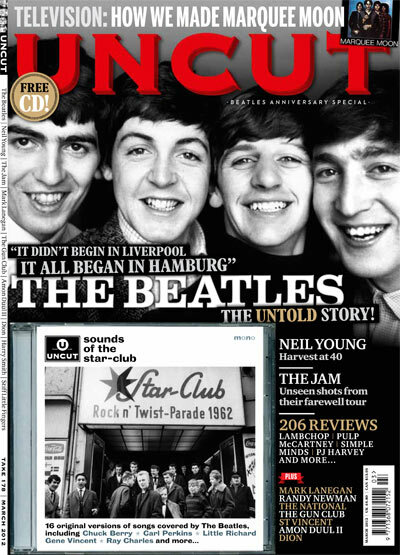 The issue comes with a free CD called “Sounds of the Star Club” with 16 tracks of songs covered by the Beatles, including tracks by Chuck Berry, Carl Perkins, Fats Waller, Little Richard, Gene Vincent, Ray Charles and Elvis Presley. 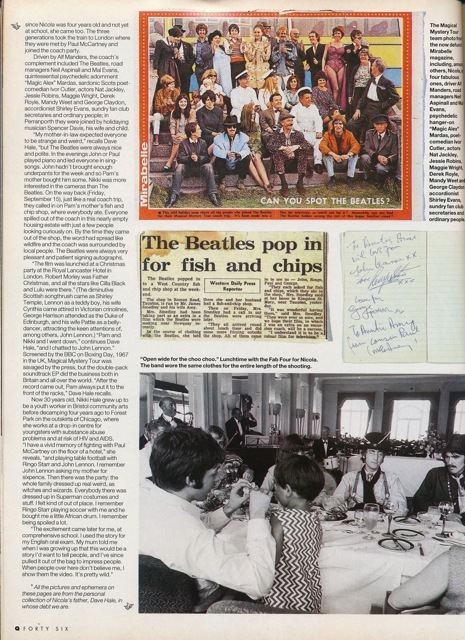 This entry was posted in Beatles, Beatles Collecting, Beatles Music, John Lennon and tagged Beatles, Beatles Collecting, John Lennon, Magazines, Magical Mystery Tour, Music, Nicola Hale, Q Magazine, Uncut Magazine by beatlesblogger. Bookmark the permalink. 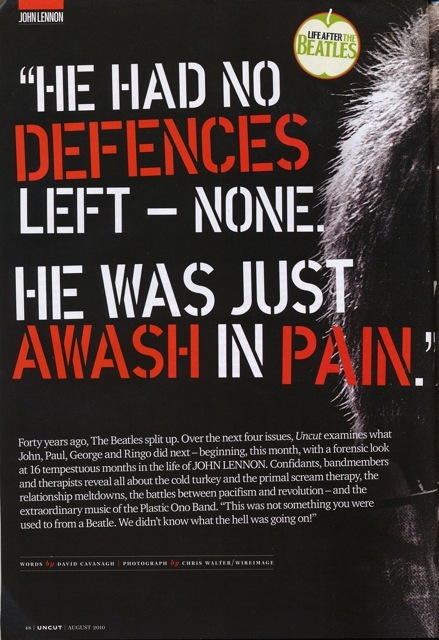 Seriously, John Lennon was so inspirational. 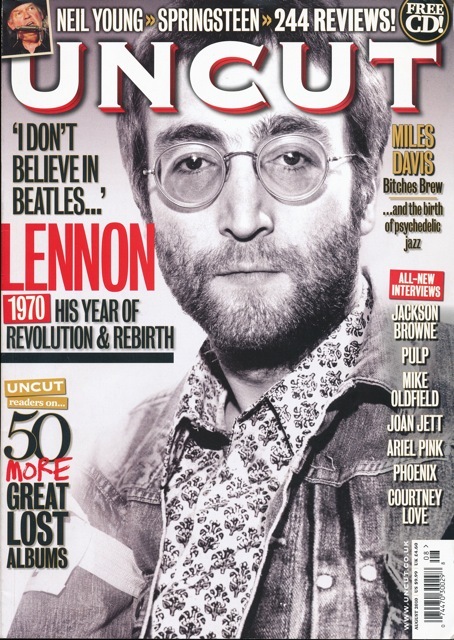 The article in Uncut is really fascinating. “Imagine” has inspired so many things like a mosaic sidewalk in NYC, contemporary artwork, and even clothing and jewelry from companies like Lyric Culture. So many people have covered it from Elton John, Cee Lo Green, and even A Perfect Circle. I’m always blown away by how musicians can empower and inspire so many people.